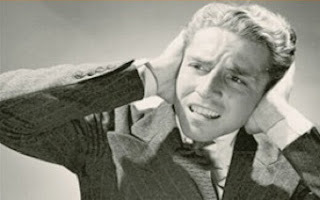 Music Feature: Audio Quality Subjective Opinion & Objective facts. Audio quality is an interesting term, as it can be both a fact and a subjective opinion. CDs are very much still in mass production today, but with the advent of commercial goliath: Apple’s iTunes, and growing rivals such as Spotify, hugely compressed .mp3 files have in many ways become the norm. Many people, and particularly the youth of today have grown to accept this as the best solution for piping music in to their ears, but the question is: are they right? The recording and distribution of music has been through many different stages during the past half century: evolving from analogue recording methods like vinyl and cassette tape to digital CDs, DVDs and now Bluray. Both analogue and digital systems have limitations, and there is debate as to which is the best solution, but this a very extensive, ever on-going and open ended discussion that I don’t want to get in to with this article. The main point is that both of these methods are used in order to capture music in as a raw a form as possible. If the resulting product is then presented on a good enough sound system, it should be a near perfect reproduction of said original sounds. · The analogue signal is transmitted from the input device to an analogue-to-digital converter (ADC). · The ADC converts this signal by repeatedly measuring the momentary level of the analogue (audio) wave and then assigning a binary number with a given quantity of bits (word length) to each measuring point. · The frequency at which the ADC measures the level of the analogue wave is called the sample rate or sampling rate. · A digital audio sample with a given word length represents the audio level at one moment. · The longer the word length the more exact is the representation of the original audio wave. · The higher the sampling rate the higher the upper cut-off frequency of the digitised audio signal. · The ADC outputs a sequence of samples that make up a continuous stream of 0s and 1s. · These numbers are stored onto recording media such as magnetic tape, hard drive, optical drive or solid state memory. · The sequence of numbers is transmitted from storage into a digital-to-analogue converter (DAC), which converts the numbers back to an analogue signal by sticking together the level information stored in each digital sample, thus rebuilding the original analogue wave form. ·This signal is amplified and transmitted to the loudspeakers. The sample rate is even more important a consideration than the word size. If the sample rate is too low, the sampled signal cannot be reconstructed to the original sound signal. Hence the output will be different from the input. The process of under sampling results in aliasing whereby the high frequency components of the sound wave are represented as being lower than they should be. This causes the output wave shape to be severely altered. To overcome aliasing, the sound signal (or other signal) must be sampled at a rate at least twice that of the highest frequency component in the signal. This is known as the Nyquist-Shannon sampling theorem. When making a recording, experienced audio recording and mastering engineers will normally do a master recording at a higher sampling rate (i.e. 88.2, 96, 176.4 or 192 kHz) and then do any editing or mixing at that same higher frequency. High resolution PCM recordings have been released on DVD-Audio (also known as DVD-A), DAD (Digital Audio Disc—which utilises the stereo PCM audio tracks of a regular DVD), DualDisc (utilising the DVD-Audio layer), or Blu-ray (Profile 3.0 is the Blu-ray audio standard, although as of mid-2009 it is unclear whether this will ever really be used as an audio-only format). In addition it is nowadays also possible and common to release a high resolution recording directly as either an uncompressed WAV or lossless compressed FLAC file (usually at 24 bits) without down-converting it . Now that the theory has been covered by Wikipedia, I’ll continue. Personally, I couldn’t disagree more with the idea of mp3 files as the accepted standard of audio distribution. This is because, despite the inherent benefits of these highly compressed files, such as the ability to store tens of songs in the place of just one lossless “CD-quality” audio file, the algorithm used to compress them to this extent is flawed, and I feel somewhat disingenuous. This is because it uses what is known a “lossy” compression method. This means that data is actually discarded from the original file in order to achieve optimal size. It does this by using a technique called perceptual coding, which discards or reduces the precision of sound components less audible to human hearing, and then records the remaining information in a fairly efficient manner. At the standard sample rates of 128, 256 and 320 kbps, the result is a file which on the face of it sounds almost identical to the original. It will almost certainly not be distinguishable through the average stock iPod headphones. However, on closer inspection through a decent setup and professional quality headphones or speakers, many files will begin to show differences. The files can often sound very synthetic, and have their very own signature sound. In fact, many actually prefer the distinctive punchy sound the compression can produce, and more still simply cannot tell the two apart. The degree to which the compression method harms the original file can depend on the genre of the music, its complexity and the standard to which it was produced to begin with. For example, modern electronic music will often respond better than classical full orchestra piece. Beyond this perceived audible difference of each file though, is the matter of principle. After the artists have worked tirelessly in the studio to perform every second of a song to perfection, the raw recording is passed on to a very clever and talented professional who will spend days, weeks, or months tweaking every frequency and channel to a level suitable to complement each element of the piece to the best of their ability. As a result, I feel that to then take this hard work and expertise and soil it by discarding roughly an 1/11th of the data, altering the EQ with gimmicks like “bass-boost”, and then proceed to listen to it through headphones with the audio response of two potatoes connected with some rusty fence wire, is simply wrong. I’ll admit though, until roughly 4 years ago, I had never really questioned “lossy” compression or audio quality in general. I would rip all my CDs in the default compression method of a player and listen to it through my mp3 players bundled plastic soul destroyers. The changing point was when I tried my older brother’s Sennheiser HD 25 1 II headphones. These are pretty much regarded worldwide as the standard for professional sound monitoring. Unlike many headphones, they produce a very precise, flat response with controlled treble, defined mid and tight bass, thus meaning that the recording will sound almost exactly as the artist intended. Even connected to my old 1 GB Zen Stone, I was astounded by just how different my music sounded. Of course, being the naïve teenager I was, the first thing I noticed was the bass; something which most standard in-ear buds struggle to produce faithfully. I listened through all my favourite songs, falling in love quickly with the new, more dynamic sound; I was smitten. Eventually I got hold of a pair for myself, and it wasn’t long before their clean and precise response had me noticing the flaws in the mp3 files, and my entire library of music was re-ripped in a lossless format. I’ve been through many different lossless file types: like WAV (the audio equivalent of a bitmap image file), FLAC (a lossless compression which uses a clever algorithm to compress audio data to around half its original size without loss of data), and now ALAC (Apple’s version of FLAC). I currently own a 160 Gb iPod Classic which is around 2/3 full of music encoded in lossless ALAC, which drives my HD 25s. When I buy an album now, I can be sure that I’m hearing it as it was intended to be heard, as and I honestly cannot see why anyone who truly loves music would do otherwise. Of course, this is just my opinion, and while many may agree with me, many more will disagree with me. I’m not trying to brainwash you or to tell you that you’re wrong to use mp3s, or standard in-ear buds. I’m merely suggesting that you try the alternative, if you can. And if you enjoy it, you’re welcome, if not, I’m sorry for wasting your time.